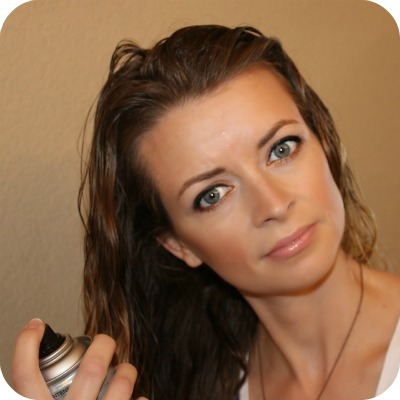 with hair wet from shower, apply LOADS of volumizer, mousse and gel. don't be afraid of product! 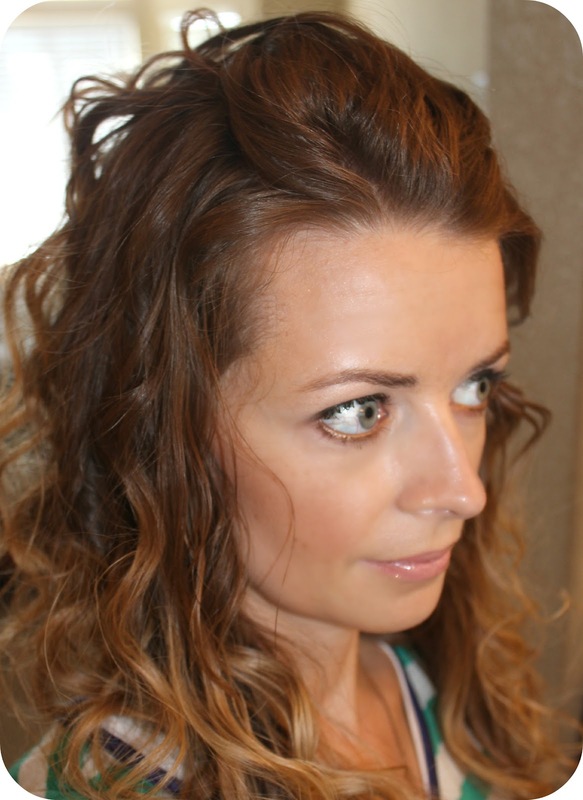 product is your best friend when it comes to curly hair. (i'm talking obscene amounts of product) once product is applied, wrap hair into little buns all around your head. let hair air dry while you get dressed and do your makeup. the longer you let it air dry, the better. 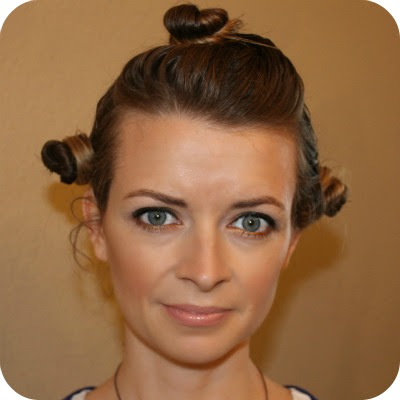 if you don't have too much time, jump to step 3.
unwind buns and spray hairspray over entire head of hair. 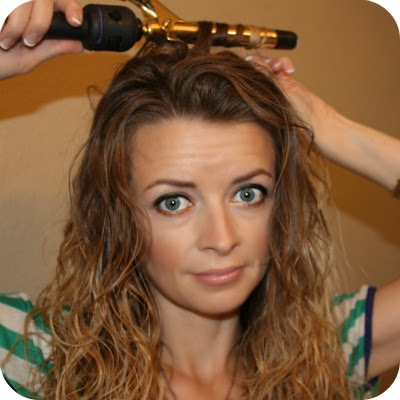 using a diffuser, gently "scrunch" hair and blow dry. 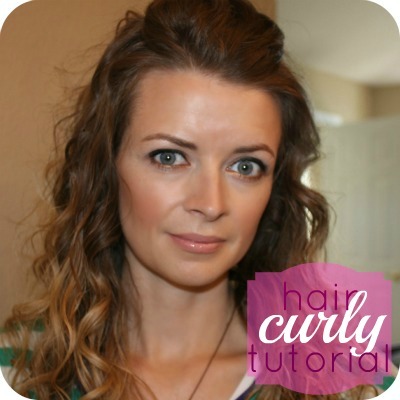 to get the perfect curly do, curl top layer of hair using a small curling iron. Love it - super cute! Thank you for the tutorial! I'll have to try this out! I usually french braid my hair to coax a little more wave out of it. I really like your hair color too Kristie. I've been wanting to go ombre but just haven't made it to the salon yet! The irony is that today was the first time I've worn my hair stick straight in months. Great tutorial! Looks great! thanks for the tutorial!